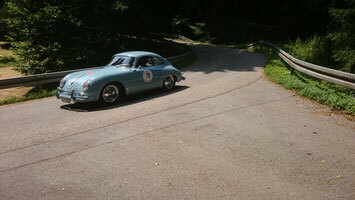 THE BLACK MYSTERY ABARTH BOX - car-bibles Webseite! About seven months ago at christmas i recevied this small blackbox from my grandmother. 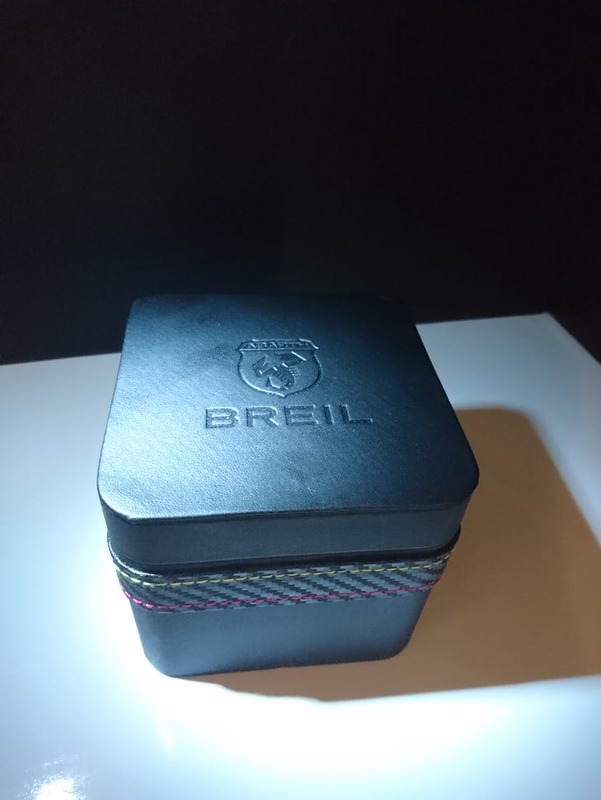 When i opened it i saw a really cool watch made by Breil in cooperation with Abarth. 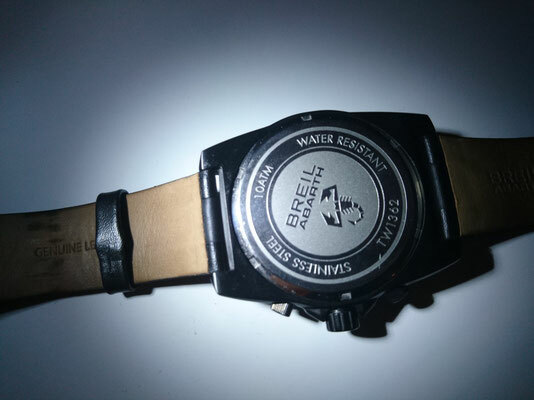 It has really good quality the watch strap is made of genuine leather that has two yellow sew on the side and the watch is waterproof 100m (10 ATM) but i noticed that you should try to get it dry with an towel to keep the quality of the leather and the watch is made out of stainless steel. The watch has also some very cool details like a tiny scorpion on the pointer, at the background you can also see a little scorpion. In the circle in the inside of the watch there is a little list of some abarth models like 500 or 695. 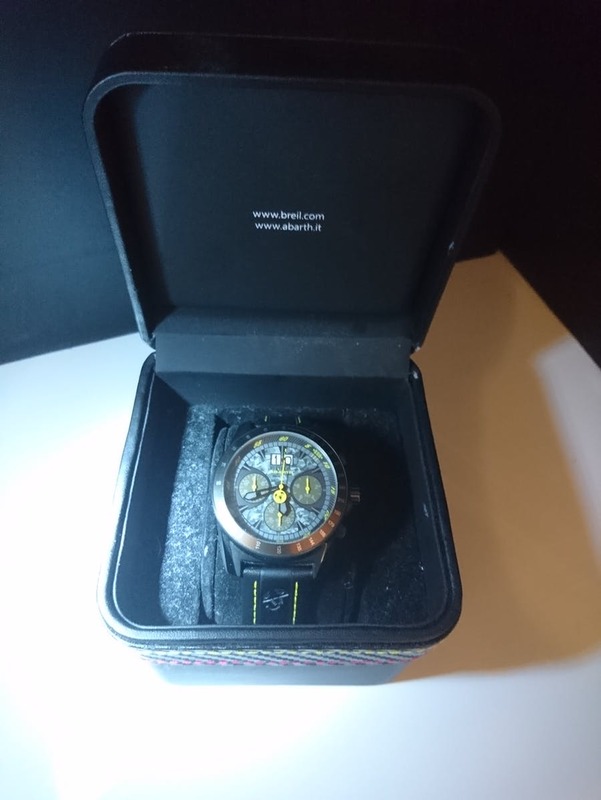 Now i tell you something about the features, it shows you the time, the date and it has a quartz clockwork, you can also stop times with it up to 60 minutes. It has also a tachymeter. It weighs about 110 grams. If you buy it you get a 2 year warranty.